Build the outdoor kitchen of your dreams with the superior craftsmanship and innovative features found in this 30-inch natural gas BBQ grill from Lynx. The quality begins outside with gleaming, high-grade 304 stainless steel that is seamlessly welded to eliminate areas where grease and moisture can collect. 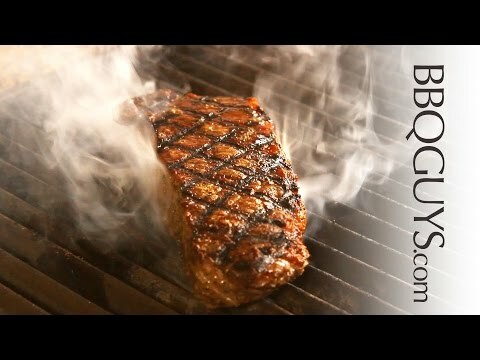 A patented design deflects wind and allows the grill to vent properly, stabilizing critical surface temperatures when cooking in windy conditions. 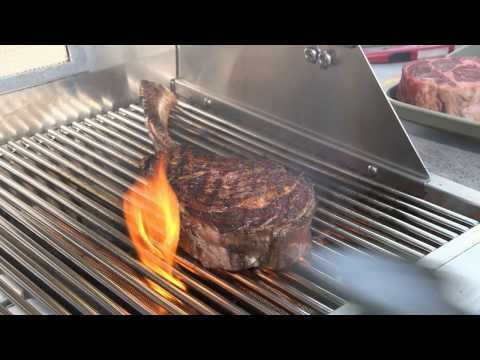 Inside, a 23,000 BTU Lynx Trident adjustable infrared burner allows you to sear thick-cuts perfectly, or throttle back to cook more delicate items while a 25,000 BTU ceramic burner delivers superior heat retention over tube burners so checking progress has minimal impact on cooking performance. 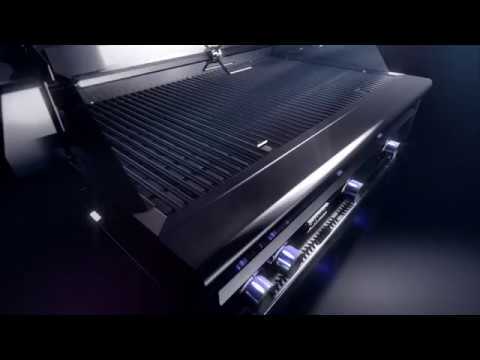 The two burners push 48,000 BTUs of total cooking power on the grilling surface. An advanced ignition system uses a hot element positioned directly above the burner port for reliably safe start-up and a large capacity smoker box allows you to add extraordinary flavor to all the things you like to grill. Over the burner, an array of fixed position ceramic briquettes ensures precise, even heat distribution to the 600 square-Inch main cooking grid while a secondary grid provides an additional 240 square-inches for a comprehensive 840 square-inches of overall grilling space. The Lynx L30TRF-NG also has a dual-position internal rotisserie with heavy-duty, 3-speed motor and rear infrared burner to raise your cooking options to their full potential. Lynx made sure you have easy access to all these fine cooking features by adding lift assist and a handle that rotates fluidly as you raise and lower the hood. Like to grill into the night? The adjustment knobs on the control panel sport blue LED accent lights for precise control and ultra-bright internal halogen lights illuminate the grilling surface eliminating guess-work. This Lynx grill on cart serves as a complete mobile outdoor kitchen with two heavy duty swing-out cart doors, magnetic latches and condiment shelves that are removable for easy cleaning. Commercial-grade casters make the unit easy to move and shelves can be folded down out of the way. Proudly made in the USA. Bring the power and performance of Lynx innovation to your outdoor cooking with the L30TRF-NG Natural Gas Grill on Cart. Cooking Grid Dimensions 27 X 21"
The stainless steel body housings, ceramic burners, cooking grates and the Trident Infrared burners are warranted to be free from defects in material and workmanship under normal use and service for the lifetime of the original purchaser. The warming racks, spit rods, briquette trays, manifolds and gas valves are warranted to be free from defects in material and workmanship for a period of five (5) years. All other grill components are warranted to be free from defects in material and workmanship for a period of two (2) years. When used in a multi-user setting (apartment complexes, multi-family dwelling complexes, schools, hotels, fire stations, police stations, etc. ), Lynx warrants this grill to be free from defects in material and workmanship for a period of ninety (90) days from the original date of purchase. This multi-user warranty excludes restaurants and settings where grill usage is primarily commercial. Hello, this grill includes a total of two burners. One is an infrared burner and the other is a conventional style burner. 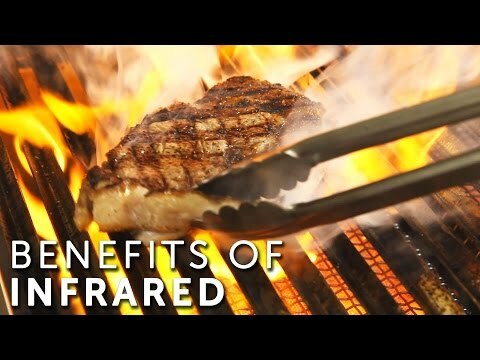 For searing steaks, I recommend using the infrared burner, as it has a very high heat with great searing capability. You could leave the other burner off to finish the cooking process. 27 X 21" 27 X 21" 27 1/4 X 19" 33 3/4 X 19 1/2"